With all rooms including microwaves, mini-refrigerators and free Wi-Fi, this inn is close to Boston hospitals, universities and area attractions! 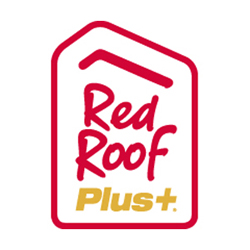 Red Roof PLUS+ Boston - Woburn/ Burlington is close to Commerce Way, Presidential Way, New Boston, Unicorn Park and more. With easy access to downtown Boston, LEGOLAND Discover Center Boston, Lahey Clinic, Fenway and the Boston Garden, this hotel is less than one mile from the Anderson train station. Don't forget to scope out the local colleges and universities! Enjoy fantastic amenities in these NextGen® design rooms that feature Serta beds, plush bedding, modern flooring, free Wi-Fi and flat screen TVs. Upgraded rooms are available upon request and include breakfast and a snack box. Enjoy this property's continental breakfast, business series, indoor pool, coffee and tea service in the lobby & coin laundry. One family pet per room is welcome.